Welcome to our new students, and to all of our returners it’s lovely to see you again. We’ve had a busy summer getting ready for the start of the 2018/19 academic year. This blog has some helpful tips on getting started, as well as what’s new. 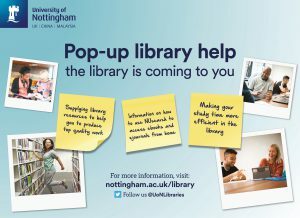 Fourthly – all of our library staff can help you with any library questions, you’ll find us either at library entrance/exits, at help desks or roving. Our job is to support you and we like it when you ask us for help! 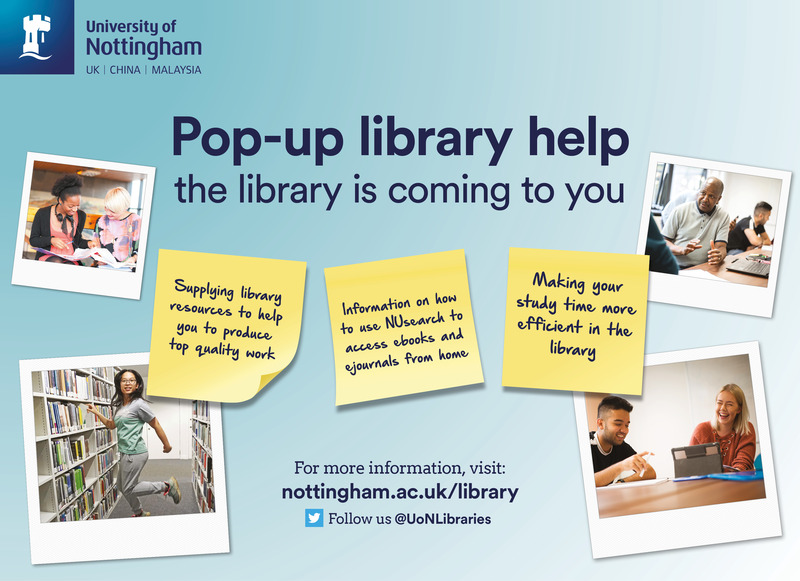 Pop-up Library Help – we are bringing the library out to you. Between 11 October and 10 November we’ll be visiting Halls of residences 5.30-7.30pm for question time sessions. We’ll then move to a regular drop in session Tuesdays 6-8pm located in the Halls clusters. More information is available in Library News. – We will be adding more PCs with the full suite of engineering software during this year. All of our libraries now have new recycling and landfill bins, we used the money from the University’s Environmental Initiative to buy bins that are consistent in design and labelling so that recycling choices are made clearer. We’re supporting the University’s #WasteNotts initiative. 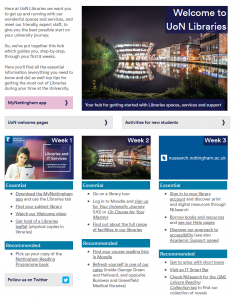 We’ve upgraded the online student reading list system, it’s mobile friendly and much improved. Reading lists are really important because they tell you the resources your teachers are recommending you read and we buy resources based on what is in online reading lists. They are available via Moodle or you can log into a reading list account to see all of the lists available at the University. More online help for students on how to get the best out of reading lists is available here. Library 24/7 will begin in early November and we’ll making an announcement about changes to 24 hour opening patterns. We received lots of feedback from students last year and are implementing changes based on what you told us to do. Libraries will be at registration in the David Ross Sports Village on Monday 24 and Tuesday 25 September, so come and say hello and ask us any questions you might have about getting started. 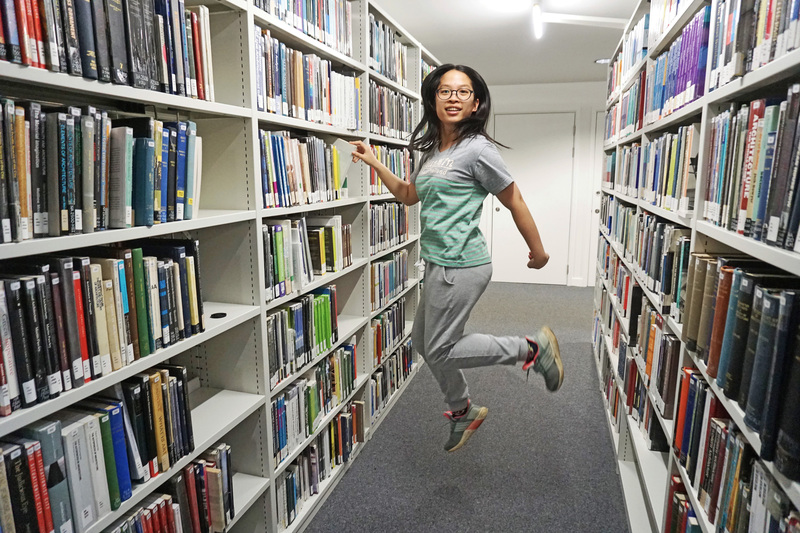 Alternatively all of our library staff are on hand to answer questions in libraries, plus we have our student library ambassadors who offer library tours and can share their experiences with you.